The annual Scottsdale Parada del Sol Parade has the distinction of being known as the World's Largest Horse Drawn Parade. There will be nearly 150 parade entries marching down Scottsdale Road. After the parade, don't leave! Immediately after the Parada del Sol there's a big party called Trail's End. There's a Kid's Area with games and pony rides, Old West gunfights, trick roping, and more. 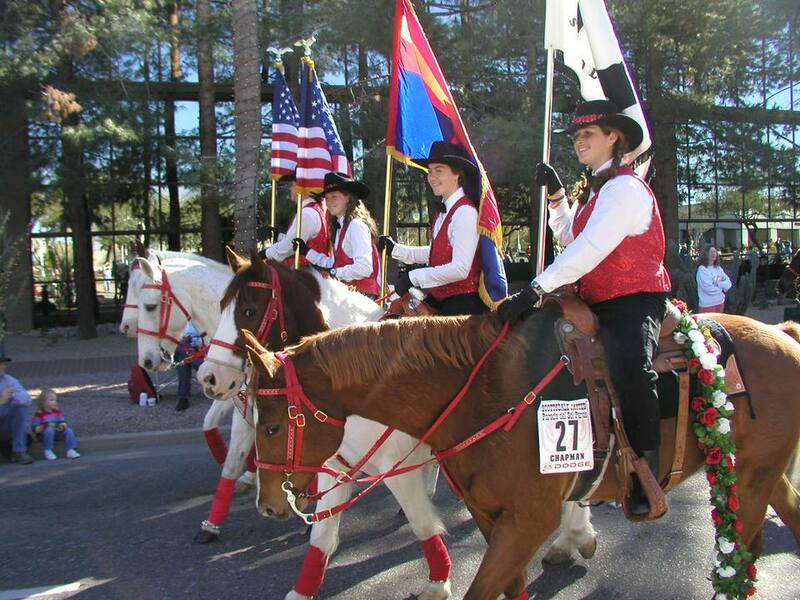 The Scottsdale Parada del Sol Parade is an annual event that has been in Scottsdale since 1953. The parade will take place on Saturday, February 9, 2019 at 10 a.m. In Scottsdale. The parade route will run south on Scottsdale Road from Drinkwater Blvd. to 1st Street, then west to Marshall Way, then south again to 2nd Street, then east to Brown Avenue, and then north to the end of the parade at Indian School Road. The Trail's End celebration, a huge block party for all ages, including three stages featuring western entertainers Native American dancers, and Hispanic dancers; a Kid's Area with games; pony rides and vendors, will be in Old Town Scottsdale. It starts after the parade at about noon and continues until 5 p.m. If you are looking for tickets to the Parada del Sol Rodeo, that's at a different time and place than the parade. You can purchase advance tickets for the rodeo at the Trail's End celebration. Check here for Parada del Sol Rodeo details. Wear your western gear! Bring a folding chair! For more information about the Scottsdale Parada del Sol Parade check online.